This link is to a leaflet issued one hundred years ago when workers on the Clyde were trying to organise in the absence of any legal right not to be unfairly dismissed (which right was more than fifty years in their future) and in the teeth of collaboration between their officials and the wartime Government. Workers then recognised that the law was a weapon of the ruling class which could be used against the workers - and that its use could disarm the officials of their own trade unions.‎ Our movement may have forgotten that lesson in the 1980s but our adversaries most certainly did not. The 1980s gave us the restrictive legal framework, our persistent compliance with which has encouraged another Tory Government to augment. Workers now need to recognise that compliance with the law is the obedience of fools (the same obedience which the same fools show when they follow the lead of those timid officials).‎ The best of us are those who fail to comply with unjust laws, and who claim our Union for its members (rather than obeisance to our officials and, behind them, the state). ‎If trade unionism is to survive in the twenty first century as a meaningful tool to defend the interests of working people it is the spirit of the Clyde Workers' Committee which we need to recapture. A Merry Xmas in Local Government? The festive period has long been a period of mixed fortunes for workers in local government. Years ago, when budget cuts came predictably in an annual round at the start of each financial year, Xmas would be the time when three month redundancy notices might be issued to the entire workforce along with the mince pies. As I tidy my desk (well, attempt to tidy my desk) before the holiday as a UNISON Branch Secretary in one of the Labour controlled London boroughs on the sharp end of spending reductions driven forward by the Tory Government, hundreds of my colleagues are wondering whether or not to express an interest in “voluntary” severance. The festive Hobson’s Choice is between an enhanced offer available for a short time or running the risk of redundancy on less favourable terms later in the New Year. My employer shed 30% of its employees in the last Parliament and now faces an even greater proportionate reduction over the next few years. Local government workers remain the largest single unionised workforce in the entire economy, yet we include in our ranks the lowest paid public servants and – as the fiasco of the 2014 pay campaign sadly showed – we would be unwise to pin too much hope upon a national solution to our pressing local problems. I do hope that 2016 will be the year in which we will take successful national strike action against the employers’ risible 1%-a-year two year pay offer. However my plausible hope is that workers will fight back locally, as UNISON members in Lambeth Libraries will if, as I hope they do, they vote “YES” in their official strike ballot. If you are a local government worker, I wish you a Merry Xmas. As for a Happy New Year, as ever, I think that is in our own hands. No one else will defend local government workers if we do not stand up for ourselves. I'm pleased to read Aditya Chakrabortty in today's Guardian (p36 of the print edition) writing in praise of my friend and comrade John Burgess. Following the disappointing outcome of the election for UNISON General Secretary (and not only for those of us who supported John) it is important to draw breath, take stock and remember that it is at the level of the rank and file that our trade union is most relevant to the interests of our members. John Burgess is a model Branch Secretary and anti-cuts campaigner, and - whatever becomes of UNISON nationally - we do indeed, as Chakrabortty argues, need more such activists. Not least because the longer we have to assess the outcome of the General Secretary election the worse the result looks. Turnout fell catastrophically, which is perhaps the most alarming feature of the result. For all the sound and fury of four campaigns, more than ninety percent of UNISON members were not motivated to put pen to paper. If we are going to rebuild our Union we must be honest with ourselves about this. Both the candidates who had stood for election before saw their share of the vote fall, and the victor commanded (fractionally) less than 50% of the votes (for the first time in four elections). I'm disappointed that the candidate I supported came fourth, but I'm more disappointed for UNISON at what the result tells us about our ability to motivate and engage with our members. ‎In this context it is unfortunate (but rightly unavoidable) that the various allegations concerning the election must be dealt with. We shall hear further from the Returning Officer next month, but that may well not be the end of the matter. UNISON members are entitled to confidence in compliance with the Union's agreed election procedures - and that may well mean we are in for a difficult few months as matters work themselves out. However, we must also continue, as trade unionists, to resist the attacks we face from the Government and (on their behalf) the employers. This requires us to seek unity in action whatever we feel about the disputes surrounding the election. UNISON members will therefore expect that all the candidates, and their supporters, will be prepared to work together constructively in the here and now to promote and defend the interests of UNISON members. ‎There are processes in place to review the allegations which have arisen concerning the election, and these will run their course. In the mean time we need also to unite in precisely the spirit of determination about which Aditya Chakrabortty writes in today's Guardian. We can all learn from Barnet UNISON. Whilst UNISON has not received the report of the Returning Officer in the General Secretary election, as investigations are still underway (and being assisted with unanticipated interventions from unexpected quarters), the Scrutineer has been able to report and therefore Dave Prentis has been declared victor with 49.4% of the vote as announced on the UNISON website. Congratulations are due to Dave, who will I am sure share my concern at the decline in turnout in the election, which has fallen below 10%. I can't imagine what the Scrutineer and the Returning Officer must be saying to each other just now having arrived at such different conclusions about the same election (particularly since they are the same person). Roger Bannister, one of the unsuccessful candidates has announced a legal challenge to the election. We can all be concerned about the rights and wrongs of what has gone on in the election - but what stands out so starkly, at a time when our movement faces unprecedented attacks, is that nine in ten UNISON members didn't vote for any of the four candidates. Plainly we need a dramatic change of approach if we are to revivify our trade union. We need to engage members by empowering lay activists and abandoning the culture of deference to paid staff which has plagued the Greater London Regional Office in particular. Our movement is in peril. We are all challenged to find a way forward. The above link notes the victory, in the 2003 election for General Secretary of our sister union, GMB, ‎of Kevin Curran. He had scored a decisive victory over his opponent, Paul Kenny. The following year allegations of malpractice in the election were reported in the press (‎http://www.theguardian.com/politics/2004/dec/20/uk.tradeunions‎). In particular it was reported and alleged that Mr Curran had had a GMB Regional Secretary campaigning inappropriately on his behalf in breach of the Rules of that Union. The GMB Central Executive‎ Council took this matter seriously, suspending the General Secretary and appointing an independent investigation, accountable to the Union (http://www.lrdpublications.org.uk/publications.php?pub=LR&iss=1021&id=id129300‎). Whilst the rights and wrongs of the situation may never be known to those of us on the outside (because the former General Secretary eventually signed a compromise agreement with the Union) it is worth noting that the approach of the GMB CEC withstood challenges taken to the Certification Officer. It is also worth noting that the 2003 election result stood at the time, having been signed off by the Returning Officer, and that Mr Curran took office - and held office until his suspension in 2005. The particular circumstances of the GMB General Secretary election in 2003 plainly differ in many important respects from the circumstances of the UNISON General Secretary election in 2015, but that doesn't mean that there are no lessons to be drawn. First, where there is contention about an election this is not brought to an end by the declaration of the result. Secondly, a trade union can survive the suspension - and independent investigation - of a General Secretary (even one who has recently won a convincing victory in a contested election). Thirdly, a robust approach by a trade union to the investigation of alleged malpractice can be an effective defence to subsequent complaints to the Certification Officer (the Government official with the power to compel‎ trade unions to rerun elections). Sadly, even the recent history of our movement is now so little studied and discussed that it is questionable whether any of these three lessons have been learned within my own trade union, UNISON. ‎Word reaches your blogger of a staff meeting at UNISON's Greater London Regional office at which staff were assured of the imminent return of a colleague not currently amongst them. Rest assured dear reader that I believe not one word of this. I simply do not believe that any senior UNISON official in the Greater London ‎Region would be so arrogant or so foolish as to seek to undermine the integrity of an investigation being undertaken by an Assistant General Secretary at the request of the President. There is a debate to be had about the need for an independent investigation into the totality of the circumstances illuminated by recent revelations - and I will blog further about the developments which have persuaded me of the desirability of such an investigation. There is also however a current investigative process which should be permitted to run its course without undue interference from any quarter. The candidate on whose behalf it has been alleged that there have been serious breaches of UNISON's Rules clearly has some questions to answer. Were the current investigation to be derailed from within the Union, most observers would take that as a pretty damning answer to those questions. What a good job it is that we can be sure that there shall not be such arrogance, or such foolishness, within our Union. I've been blogging awhile and have been struck that the post above attracted the most comments I think any of my posts ever have. ‎In that post I alleged that the campaign to elect Dave Prentis to carry on as General Secretary of UNISON appeared to have obtained a sudden influx of slightly odd twitter followers. 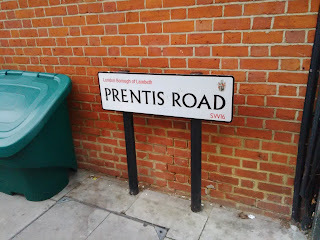 As you can see (if you can be bothered) this provoked a tirade from an anonymous Prentis supporter who demanded that I ask Prentis, straightforwardly, whether his campaign had been purchasing "twitter followers". If you have the time to follow my twitter feed you'll see that this question has been asked more than once. Dave Prentis was originally elected (and twice re-elected) with the support of impressive activists in our Union. But I know when I'm outgunned. This time the best of Dave's former supporters either abstained or backed other candidates. He was left with the backing of the stupid and the arrogant (a combination which has proven toxic in at least one case). Whoever was running the twitter operation clearly did something to attract followers who repeatedly refuse to respond to tweets asking them why they followed @electprentis. For that matter @electprentis also refuses to respond to repeated questions about how he obtained these followers. You have to ask yourself - as a UNISON member - do you want a General Secretary with such poor judgement that he would entrust his re-election campaign to people who will make such a dog's breakfast of twitter? It's like the question mark that is raised over the character of an individual prepared to perpetuate a false claim of support for his candidacy from the Labour Leader by failing to delete a tweet from that selfsame twitter feed. Oh Dave. Who did you leave running your campaign? What on earth are you going to do about their evident inadequacy? Dave Prentis, whose scandal hit campaign for re-election as UNISON General Secretary is covered in the latest edition of Private Eye (shome mistake surely?) claimed on his election campaign twitter feed on 7 September to have the support of (then obviously soon to be elected) Labour Leader Jeremy Corbyn (if the link above doesn't work because the Prentis camp have taken down the tweet from their twitter feed I can publish a screen shot of the tweet - which can still be read online today, 12 December). Dave Prentis published a complimentary statement which Jeremy Corbyn had made about him, unrelated to the election, which had then just commenced. His campaign twitter feed then tweeted "thank you Jeremy. Your support is very much appreciated." 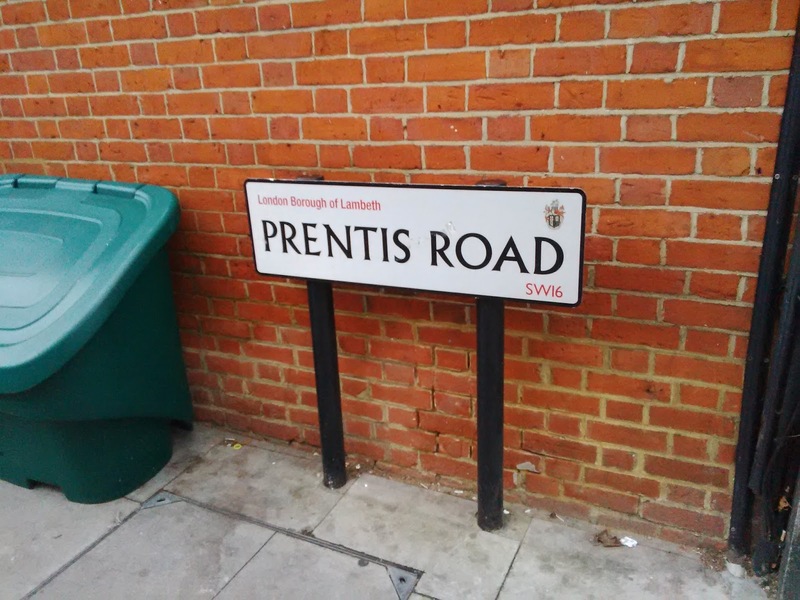 Such a tweet (from "@electprentis") was obviously intended to convey the impression of endorsement of the Prentis candidacy by the soon-to-be Labour Leader, whose candidacy UNISON had supported. On 18 November Jeremy Corbyn made clear - in a statement to UNISON which the Union has refused to publish - that he had endorsed no candidate in the election for UNISON General Secretary. Dave Prentis was aware of this statement from Jeremy Corbyn (and of the refusal of his request that UNISON publish it). At no point before the ballot closed did Dave or his supporters take down their tweet or retract the very obvious implication of endorsement. All of the candidates sought to associate themselves in one way or another with the Corbyn magic. Dave Prentis may not have been the only one to over step the mark by seeking to imply an endorsement (another candidate copied exactly the style and design of Corbyn's campaign literature), but‎ he was certainly the first. ‎Jeremy Corbyn didn't put a foot wrong in relation to the UNISON General Secretary election (he did not take sides in any way). Corbyn's enemies in the movement may use decisions taken by candidates in the UNISON election to attack his leadership. All such attacks will be unjustified and ill-judged - and anyone who cares about the interests of UNISON members will defend the first Labour Leader in UNISON's history who stands for all that our Union stands for. Dave Prentis and his supporters certainly have done many things which breach UNISON Rules, and it is now up to Electoral Reform Services to decide whether to sully their own reputation by association with such behaviour. It's not too late for Dave Prentis to disavow the public claim (made on his behalf)‎ that Jeremy Corbyn had endorsed his campaign - and it's not too late for him to apologise to Jeremy, and UNISON members, for this. ‎There are two dimensions of power in a trade union. There is the collective power of organised workers, of which our trade unions are simply an institutional expression and a tool. ‎This is our positive power. We express this power when we stand together and take industrial action, but it is also expressed daily when workplace representatives broker the strength of our organisation in seeking to negotiate a better deal for workers collectively or individually. This is the power that, however much it has been reined in over the past generation, the Government so fears that it is proposing further legislative restrictions on what is already one of the most regulated workers' movements in the world. ‎Well, I don't sing too much (at least not when sober) but you get the point. There is another dimension of power in the Union however.‎ That is the power exercised by those given authority within the Union as an organisation. As trade unions grew in the nineteenth century it became necessary for them to begin to employ staff to carry out a variety of functions coordinating the growing organisations. Today's large trade unions employ hundreds of staff - many carrying out roles essential to the functioning of a large democratic membership organisation. In a capitalist society all large employing organisations tend to adopt‎ the hierarchical structure of a corporation, and unions like UNISON are no exception. Just as we all know managers at work for whom "power over" their subordinates clearly motivates them far more than "power to" achieve positive outcomes (other than perhaps self-promotion and self-aggrandisement) so‎ our trade unions are not immune from the blight of such individuals. The excesses of the individual bully are, however, no more than the extreme form of an unaccountable power which seeks always to avoid answering to the workers whose subscriptions resource it. Our trade union forebears one hundred years ago foresaw this danger - and our current predicament. Members of the South Wales Miners Federation set out in "the Miners' Next Step" how to challenge for democracy in the structures of the Union - whilst the Clyde Workers' Committee established the sensible principle that workers and their representatives should support union officials (only) as long as they support workers' interests. In UNISON today we face the problem that too many lay office holders (not all of whom are necessarily activists in the sense union members would understand) confuse loyalty to our Union as a working class organisation with obedience to the unaccountable power of paid officials. The power of those officials is not, however, unlimited ‎and this position is rapidly becoming untenable and all those who care for the future of UNISON need to commit to fundamental change. The time for concealment is at an end and those with something to say should volunteer what they know. ‎Here is a brief note of what transpired at the start of yesterday's meeting of UNISON's National Executive Council (NEC) based in part on an update which I have already sent by email to UNISON Branches in the Greater London Region (following a request from a fellow Branch Secretary). I will circulate - and then blog - a fuller report shortly. On arrival at the UNISON Centre yesterday NEC members met some small yellow barriers (normally employed I imagine to alert staff to spillages or misbehaviour by the Centre's legendary lifts) which blocked part of the entrance. The other part of the entrance was being stewarded by several security staff, apparently in response to a modest but vocal lobby of UNISON members from several London branches supporting the proposal (about which I shall blog separately) that there should be an independent investigation into the matters about which you can read on the most-read post on this blog (or, as I now understand, in Private Eye). Several of my friends and colleagues on the NEC were prevented for some time from entering their own Headquarters building because security guards would not accept UNISON Centre passes (not bearing a photograph) as evidence of identity (until a sensible senior official became aware of what was happening and intervened). This was not the first time that I had seen such a silly overreaction, the purpose of which was not - of course - to protect from a non-existent threat (the Branch Secretary who organised the lobby had written most courteously and appropriately to the President in advance. The purpose of such a stunt is plainly to create the impression on the part of those within the building that the lobbyists are some alien force from whom they require protection, rather than trade union activists with a legitimate grievance seeking a dialogue. Other expressions of that grievance were motions from branches which had been submitted to the NEC in the few days in which members have been aware of the events giving rise to concern. As it turned out, the NEC, as the ruling lay body of the Union between meetings of our National Delegate Conference, decided, by a majority of 3 to 2, not to engage in dialogue about the legitimate grievances which were being expressed. At the outset of the NEC meeting the President made a statement noting that a complaint had been made concerning the conduct of an employee, which was the subject of an investigation within UNISON which could not therefore be discussed at the NEC meeting, and that complaints had also been made to Electoral Reform Services, as the Returning Officer in the General Secretary election, which were also not appropriate for discussion at the meeting. She therefore proposed not to discuss those matters at all. Several NEC members queried this (I had myself written in advance of the meeting seeking guidance on how we could discuss whether or not the General Secretary should be suspended - and still await a response). A proposal was made that the meeting proceed to "next business" (in order to curtail any possibility of further discussion of these issues) and this was agreed by 32 votes to 21 (I was one of the 21). The NEC having taken the decision not to deal with these matters it is regrettably inevitable that these will be bound to be addressed elsewhere. I will blog further about the content of the NEC meeting in the near future. Trade unions are required by one of the many laws which regulate our movement to appoint an independent returning officer to oversee various of the statutory ballots which those same laws dictate (such as the election for General Secretary, voting in which closed last week). UNISON has been using the same returning officer for some time, and the link above shows the problems with which a returning officer can have to deal. In that case the Certification Officer found that the Union had breached one of the many detailed legal provisions governing a Union election (in that case for the National Executive Council) (NEC). The Certification Officer in that case decided (not unreasonably in all the circumstances) not to order that the election be re-run, though that is something which is in the power both of the returning officer and of the Certification Officer. In that case though the Certification Officer was critical of the returning officer for having stated that they were satisfied with all the matters that the relevant bit of the law (Section 52 subsection 2 of the Trade Union and Labour Relations (Consolidation) Act 1992) required them to be satisfied when in fact they knew, as the Union admitted, that there had been a breach (in that particular case) of Section 48 subsection 4. In a fairly damning assessment the Certification Officer described the statement from the returning officer as ‎"at best misleading" and found that the statement that the returning officer was satisfied that the election had satisfied all of the matters in Section 52 subsection 2 "undermined the credibility" of the returning officer's report. The same returning officer is now wading through a large number of complaints (so he tells me) concerning the recently concluded ballot to elect a General Secretary. No doubt he will have the words of the Certification Officer ten years ago in his mind should he find compelling evidence of (say) breaches of Section 51 subsection‎ (3)(a) (for example). ‎ Loyalty is central to effective trade unionism - but different people have different understandings of loyalty. A couple of weeks ago UNISON members in my own branch, working in libraries, gave a lesson in loyalty when they spontaneously took unofficial strike action in defence of their jobs and the service they work to provide. As a lay union official I did not endorse unofficial action, but as a worker I admired the solidarity of colleagues showing loyalty to each other. That loyalty and solidarity is the essential foundation of trade unionism. Sadly, as trade unions can grow into large and heirarchical‎ organisations so trade unionists can confuse the proper loyalty we owe to our fellow workers with a misplaced loyalty to the senior employees of the union as an organisation. ‎It is that misplaced loyalty which has driven my trade union in the wrong direction for years now. Otherwise intelligent people confuse dissent with disloyalty (and so do other people). Many employees at the UNISON Centre (and many NEC members) confuse loyalty to our Union with loyalty to its (current) General Secretary, just as many staff and activists in our Greater London Region wrongly thought that by doing the will of Regional managers they were serving the interests of the Union. No good union activist respects people because of the position they hold (rather than the work they do) - and anyone whose first reaction to a powerful individual is anything other than to oppose them is hardly likely to be a strong fighter for our class. In fact dissent is the highest form of loyalty in a democratic organisation, and the best of UNISON is to be found in its dissidents, its troublemakers and its whistleblowers. UNISON stands at a crossroads. We could be loyal to ourselves and rescue our trade union as an effective fighting force for our members - or we could put first obedience to those who ought really to be our servants (in which case UNISON will whither and die). Three vacancies for positions as UNISON Regional Organisers in the Greater London Region may seem increasingly attractive this week to committed and experienced labour movement activists. I hope that regular readers of this blog (Sid and Doris Blogger) may consider their own suitability to apply for these vacancies. I think that UNISON members and activists will be hoping that candidates for these jobs will be dedicated trade unionists who are not afraid to lead a fight against the employers when the occasion demands (and who want to interpret the Union's procedures to facilitate the democratic will of the membership). We'll also hope for candidates who believe that a trade union is the property of its members who pay subscriptions, and that power should be vested in elected lay representatives who should be treated with respect (other careers are available for those who want a working environment where staff call the shots and volunteers follow their direction). UNISON in Greater London has, in the past, spoken up effectively for our members. ‎Back in 1998, for example, the Region produced some of the best material to argue in favour of the restoration of London Government. Former Regional Convenor, Geoff Martin, frequently spoke out - and was heard. It is some years since the Region had any such positive profile. Achieving positive change will need to be led by lay members prepared to assert their democratic authority, working in partnership with officials prepared to accept that authority. The deadline to apply for one of the Regional Officer vacancies is 15 December. The deadline for motions and nominations for the Annual General Meeting of the Regional Council is 14 December. ‎I hesitate to say that the suggestion that pro-bombing Labour Parliamentarians have been "bullied" by those lobbying them against Cameron's War is the most laughable thing that I have heard in the recent past. But that's only because I am subject to so much "management speak" in my day job. It is not "bullying" to put pressure on an elected representative - it's lobbying. Members of Parliament may be confused if they have got used to the idea that lobbying should generally involve an agreeable lunch with a former political associate now paid to market pharmaceuticals (or perhaps weaponry). Nor is it "bullying" to say of those who vote to spend our taxes raining death upon citizens elsewhere in the world that they have "blood on their hands". They do. All wars would be shortened if those who decided to go to war had themselves to do the fighting. It is certainly not bullying if Labour Party members refer to their constitutional right to de-select Members of Parliament. It is silly though (as, unless the Tories fail to push gerrymandering boundary changes through Parliament there won't be any sitting Members of Parliament to be "de"selected). In general, bullying is about the abuse of power and therefore is relatively more commonly practiced by the relatively powerful against the relatively weak. In the workplace most (not all) bullying is by managers of subordinates. In the trade union it is far far easier for senior officials to bully more junior officials (or lay activists) than it is for - say - a random blogger to "bully" a General Secretary by making public criticism. Bullying is a real problem, which the pro-war Parliamentarians belittle through their self-serving misuse of the term. Those who have experienced real bullying need to know when it is the right time to come forward and oppose such abuse of power. In one trade union close to my heart that time has certainly arrived. Further to the last post on this blog I am informed that an investigation is under way. It is important that this process can be carried out properly and, having confidence in the investigative process which has been established, I shall not comment further at this time (other than to thank the several members of staff from the Greater London Regional Office who have been in touch yesterday and today). Whilst UNISON is responding appropriately to evidence appearing to substantiate serious allegations, the question of what impact such matters may have had on the current election for General Secretary is a question for the Returning Officer rather than the Union. Any UNISON member who has concerns about alleged malpractice in connection with the General Secretary election should raise these concerns with the Returning Officer by email to unison@electoralreform.co.uk. (Before the deadline of 11 December). Worrying news of electoral malpractice - let's hope this is addressed appropriately! Like many readers of this blog I have devoted decades to voluntary service to the trade union movement because I believe in collectivism and socialism. I have worked in that time with some paid officials who, as professionals, have shown similar commitment and have been (and are) an asset to our movement. However, there are (or certainly should be) different roles between lay members and paid officials – particularly in a trade union like UNISON, where our Rule Book says that we are a “member-led” Union. This shocking information published online reveals a scandalous breach of trust on the part of senior officials of UNISON in our Greater London Region. It links to an audio file which, having listened to it I am certain is plainly a recording of a meeting of officials at our Regional Office (of which there is also a transcript). It is clear from the recording and transcript that this meeting of UNISON paid officials included a discussion about how to campaign for Dave Prentis as a candidate in the election for General Secretary. It is equally clear that this was a discussion about how staff should use their time, for which they are paid by UNISON, to carry out such campaigning. During the meeting, the Regional Secretary, Linda Perks, reports to paid officials the thanks of the General Secretary, Dave Prentis, for the number of nominations from branches in the Greater London Region. This clearly seeks to implicate the General Secretary in this misuse of staffing resources. Linda Perks and Dave Prentis are both members of UNISON. On the basis of the evidence in the recording and transcript, they may both be responsible for breaching the General Secretary election procedure agreed by the National Executive Council under Rules D7, E3.3 and Schedule C.7. The election procedure clearly states that UNISON resources should not be used to support any particular candidate. "Our funds, property or resources cannot be used to support campaigning for any particular candidate, except in the following circumstances. c) To provide candidates with a copy of the contact details for all nominating bodies (as explained in these procedures). expenses for travel and subsistence (food and drink)." There is no doubt that 'funds, property and resources' includes the paid time of UNISON officials and their access, through their capacity as officials, to the officers and membership of the Union. Furthermore the use of resources for purposes outside and, indeed, specifically contrary to the rules and procedures of the Union constitutes misappropriation of UNISON resources. It would appear that these officials, as UNISON members, have acted in breach of UNISON Rules. Your blogger has complained to the Union about this and it is with regret, and only in the absence of sufficiently prompt confirmation of appropriate action, that I am publishing this blog post in the interests of openness and transparency – and so that UNISON members should know what is being done, with our resources in breach of our Rules. I want to stress that I do have confidence in the colleagues with whom I have raised this to take appropriate action, but that in all the circumstances I believe that it is important to be open about this problem. UNISON is a great trade union, with many thousands of dedicated activists and hundreds of diligent staff and officials. Although we have faced significant defeats and setbacks in recent years, and have let ourselves and our members down in some recent disputes, we remain – as the trade union for public servants in this country – the only guarantee of dignity and justice in the workplace for those of us who devote our lives to the good of our society. As angry as I am at the blatant abuse of the resources of our trade union by the Regional Management Team in the Greater London Regional Office of UNISON, I urge all UNISON members to utilise the democratic structures of our trade union in the first instance. Any UNISON member has the right to complain to the Union about the conduct disclosed in the links above. You can contact the Member Liaison Unit at elections@unison.co.uk. You can also put a motion to your next Branch Meeting to go to Conference or your Regional Council. In the immediate term, since this is relevant to the General Secretary election, complaints can be made to unison@electoralreform.co.uk. The deadline for such complaints is 5pm on Friday 11 December 2015. UNISON must be reclaimed for lay members and for democracy. Update at lunchtime on Wednesday 2 December - I understand that an investigation is now underway and shall refrain from further comment on this blog about the matters under investigation. UNISON has an opportunity now to deal with matters appropriately. Update on 23 December - having just now responded to a comment on this post I have taken the opportunity to correct the wording above. There have been considerable further developments since this post was written (not least the declaration of the result of the General Secretary election) but also the internal investigation (which is now underway). It would be wrong to presume the guilt of any party but, in particular, I do not assume that the General Secretary himself was personally aware of anything just because the person speaking in the recording of the meeting sought to imply that he was. I have not made that assumption in calling for a thorough investigation of evidence which is certainly of concern, and I would not encourage anyone else to make that assumption.